If you have not used Earth Engine, it is easy to sign up. Go to earthengine.google.com and click on sign up. Here is an example of a script that loads one year of fishing into the map, and here’s a similar one that shows vessel presence. These scripts allow you to stylize the global map of fishing as you like, and export it as an image. 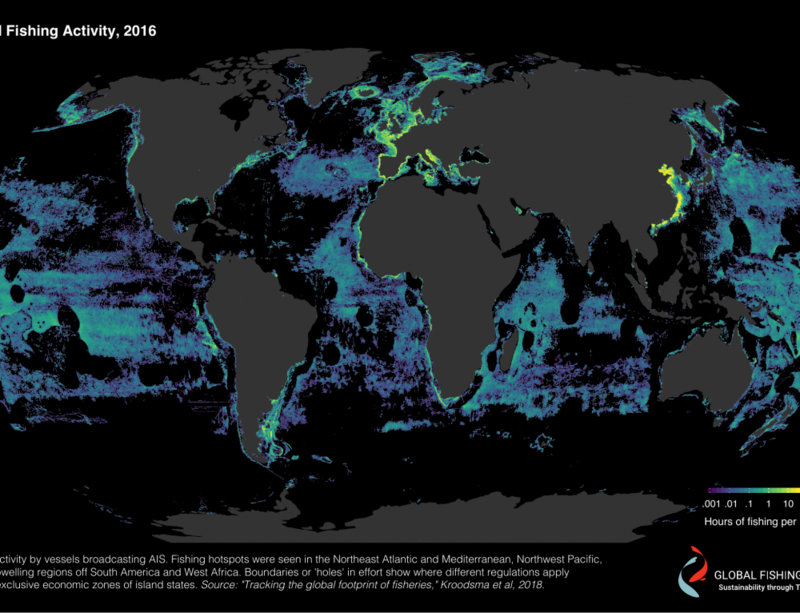 One of the powers of earth engine is the ability to compare sea surface temperature to fishing effort. Here is an example of a script that creates a video for an entire year, showing changes in sea surface temperature and the movements of drifting longlines. Below is an image created from this script.